This is another in a series of photos taken on Thanksgiving at sunrise. There were so many colors in the sky that morning, and the sun reflected back the gorgeous hues of the leaves still coloring the trees. 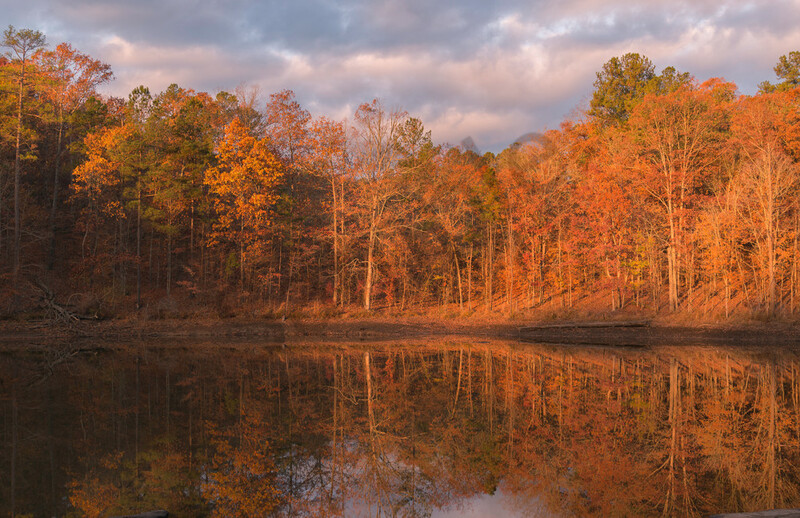 Fall is such a magnificent time of year to see nature's colors, and fall in Georgia is no exception. To see where this print will look best, try the wall preview tool. It'll give you a great idea of how the print will look in different settings.